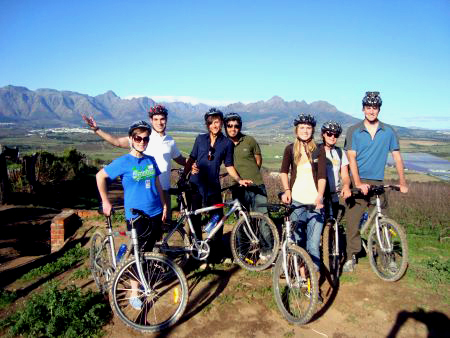 South Africa's only Carbon Negative tour of the Winelands. 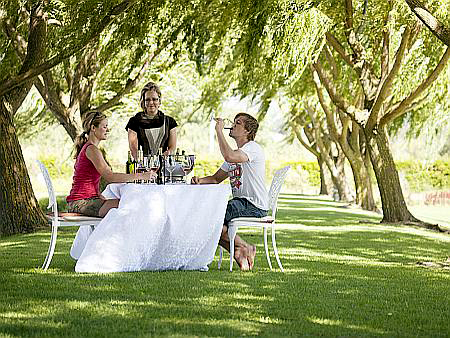 These tours are targeted at young-hearted and outdoor-loving people who would like to experience a South African wine tour from a different and authentic viewpoint. Up to four first-class Stellenbosch wine estates, situated 50 km outside of Cape Town, are visited during the day, accessed by private farm roads that take riders through vineyards and quiet tree-lined roads, with dazzling views along the way. Bikes 'n Wines caters for all ages and fitness levels, offering personalised tours as well as adventures for private and corporate groups. 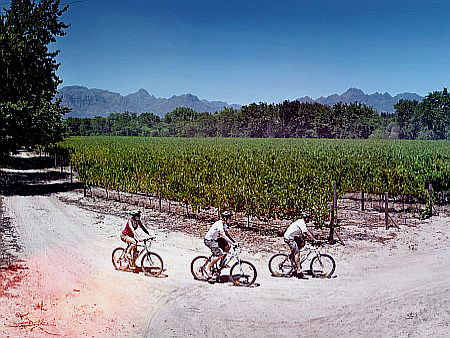 A cycling tour that embodies the culture and spirit of adventure in the Cape winelands. 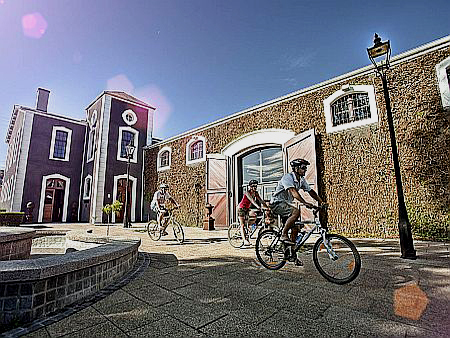 A fully guided cycle around the historic town of Stellenbosch. Learn about the history and culture of the "City of Oaks" from our experienced tour guides. Tour includes a visit to 2 wineries en-route. A fully guided cycle around the Hugenot town of Franschhoek. Learn about the history and culture of "French Corner" from our experienced tour guides. Tour includes a visit to 2 wineries en-route. This family friendly tour is designed to ensure that families of all ages and sizes are able to join us on a fantastic day out. With easy cycling, and lots of activities to keep the kids occupied, parents are guaranteed a lot of "quiet time". Our trained guides will ensure the children's safety on and off the bikes, at all times, leaving mom and dad to enjoy themselves on tour with us. will visit 2 superb wineries and 1 brandy distillery. Our knowledgeable guides will inform riders on how South Africa's oldest wine route developed along the famed Eerste River. Guests will cycle through the vineyards and look over the Stellenbosch Valley whilst they learn about wine making and the culture of the region. private farm roads through the breathtaking vineyards of the area. will visit 3 fabulous wineries and 1 brandy distillery where you will indulge in a decadent brandy, coffee & chocolate pairing. 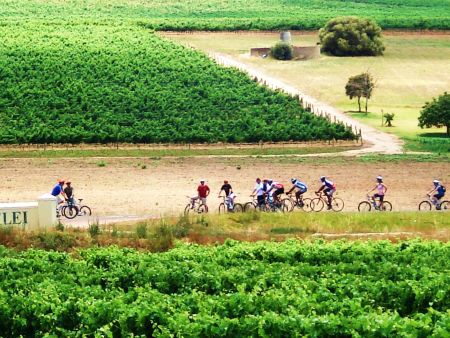 This premium tour offers you the unique perspective of cycling through the vineyards. Experience decadent and daring pairing combinations and visit the cellars that are still using the old fashioned techniques of wine-making. Includes boutique wine tastings, cellar tour and indulging in a decadent brandy, coffee & chocolate pairing. Includes Charcuterie and local Cheese platter for lunch. 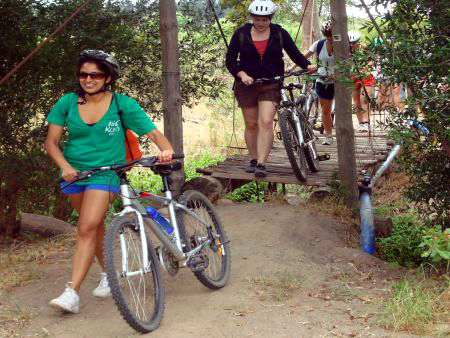 This couples only tour offers you a unique perspective of cycling through the vineyards, on a private guided tour. Experience decadent and daring pairing combinations and visit the cellars that are still using the old fashioned techniques of wine-making. Includes Charcuterie and local Cheese platter for lunch. 3 hours of sublime MTB, on jeep track, single track, through the vineyards and gravel forestry roads. This fully guided tour is for the mountain biker that would like a taste of what the winelands has to offer. Mechanic on tour but note that MTB gear, gloves and shoes not included. various points of interest en-route and a tour to the "cellar under the mountain". Western Cape. Starting and ending in the Bainsklook region outside Wellington, riders can expect up to 60km of manicured single track riding suitable for all levels of experience. 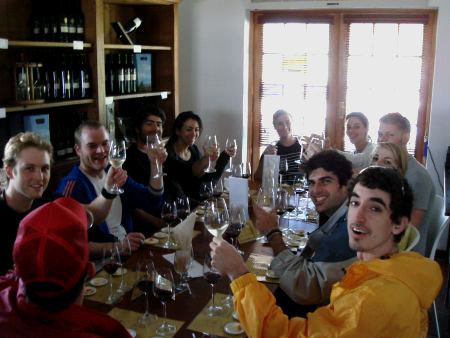 Guests are rewarded with a gourmet lunch and wine tasting at the end of their days ride, before heading back to their accommodation for a well-earned rest. The Elgin valley, nestled in the Overberg mountain range, is the perfect spot to get away from the hustle of the city, experience quality MTB trails and taste some of the regions amazing vintages. A wholesome farm style lunch followed by a MCC tasting rounds off a fantastic day of exploration in the valley. outside Hermanus. Meandering through the valley, guests cross rivers, ride through untouched fynbos and pristine mountains, before returning to the manicured wine estates that sparkle throughout the region like gems on a crown. Clients will cycle through the picturesque roads of Franschhoek, meandering past the famous Huguenot Monument to glimpse some of the culture and heritage that has become a part of this small town. The tour runs through the lavish vineyards that give Franschhoek its charm, stopping to taste wines from 3 different estates in the region. Meet at Stellenbosch Winelands Bike Shed unless otherwise stated. Departure Times: Vary from 09h00 - 10h30 for Full day or morning tours and 13h00 - 13h15 for afternoon tours.